Paul Williams, Shellfish Management Policy Advisor for the Suquamish Tribe in Washington State, discusses the impacts of ocean acidification in the Pacific Northwest and the challenges for future generations. 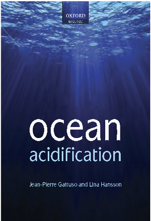 “About 10 years ago, I read that we’ve altered the fundamental chemistry of the ocean by making it more acidic. Shellfish have calcium in their shells and acid dissolves calcium. You could see the writing on the wall with some species and that was very, very scary, that realization.” Paul Williams, the Shellfish Management Policy Advisor for the Suquamish Tribe, has been tracking the impact of ocean acidification for years. Despite these alarming red flags, Paul says this realization did not discourage him and he continues to seek ways to mitigate the impacts of changing ocean chemistry. Ocean acidification represents an urgent concern to the Suquamish Tribe, because harvesting shellfish is a traditional practice of tribal members, a key source of income and a way for them to stay connected to their culture. Scientists report that the Puget Sound and Washington’s coast are acidifying faster than the global average. Local species like Dungeness crab, pteropods and krill are vulnerable to ocean acidification, but scientists are still learning about the impacts, making it difficult to manage for future conditions. ”It’s hard to pinpoint how ocean acidification is impacting specific species. But it doesn’t mean it’s not happening…The ecosystem is so complex. We don’t understand it very well and there’s limited alternatives for addressing ocean acidification in ecosystems, but we need to keep looking for them,” Paul says. One way the Suquamish Tribe is taking action on ocean acidification is by participating in the International Alliance to Combat Ocean Acidification (OA Alliance). As a member of the OA Alliance, governments commit to creating OA Action Plans—regional strategies for combating ocean acidification. OA Action Plans are a way to memorialize the incredible work happening in coastal communities around the world and provide a way for members to collaborate and capitalize on their efforts. 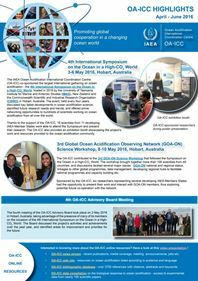 OA Alliance members participate in international climate conversations, online information exchanges and learn about strategies leaders are using to mitigate changing ocean conditions in their region. The education tools the Suquamish Tribe compiled are an invaluable resource for furthering the OA Alliance’s goal to expand public awareness and understanding of ocean acidification. Through the OA Alliance network we can continue to share creative strategies and best practices so ocean leaders can continue to strengthen the resiliency of their community and ecosystem. Melia Paguirigan, Ocean Conservancy, 19 July 2018. Blog.